The Republic had its Clone Army. 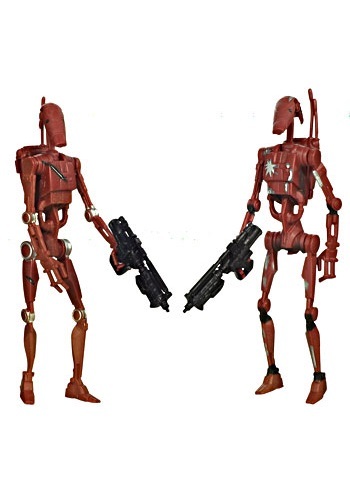 The separatist Trade Federation had a droid army made up of fighting machines like these Saga Legends Battle Droids Action Figures. They were painted to blend in with the environment so they could approach their foe with less chance of detection. They were truly a force to be reckoned with!